Honor Magic 2 was launched by the Huawei sub-brand at an event in Beijing on Wednesday. 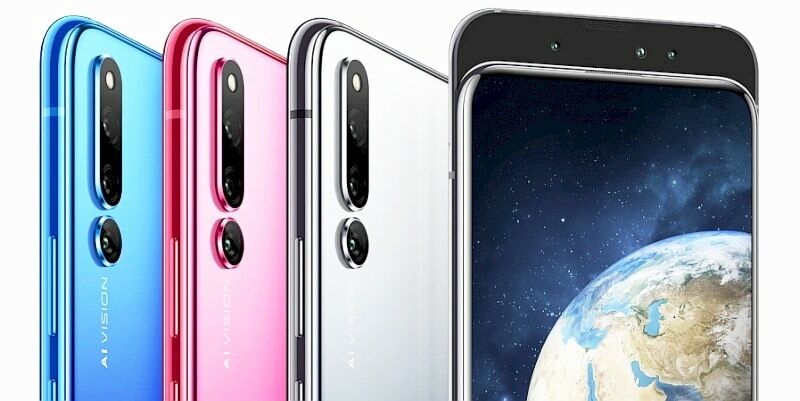 The smartphone sports a triple rear camera setup, the company’s latest 7nm HiSilicon Kirin 980 SoC, 40W Magic Charge fast charging tech, a 6.39-inch AMOLED display, an in-display fingerprint sensor, 3D face unlock, a front camera slider, and the Yoyo AI-based virtual assistant as its highlights. Honor has launched the smartphone in three different variants with up to 8GB of RAM, and 256GB of inbuilt storage. The Honor Magic 2 price and availability details were also revealed by the company at the event. The Honor Magic 2 price starts at CNY 3,799 (roughly Rs. 40,300) for its 6GB RAM/ 128GB inbuilt storage variant, going up to CNY 4,299 (roughly Rs. 45,600) for its 8GB RAM/ 128GB storage variant, and CNY 4,799 (roughly Rs. 50,100) for its 8GB RAM/ 256GB storage variant. Pre-orders start from 12am (Midnight) on November 1, and the smartphone will go on sale on November 6 via the company’s VMall e-commerce site. The dual-SIM Honor Magic 2 runs Magic UI 2.0 based on Android 9.0 Pie – the first few models will run EMUI 9.0 however, and will receive an update later. It sports a 6.39-inch full-HD+ (1080×2340 pixels) AMOLED display with a pixel density of 403ppi, support for the DCI-P3 (108 percent) colour gamut, and a 91.5 percent screen-to-body ratio. The display slides down to reveal the front camera and 3D Face Unlock sensors. It is powered by the HiSilicon Kirin 980 SoC, with two Cortex-A76 cores clocked at 2.6GHz, two Cortex-A76 cores clocked at 1.92GHz, and four Cortex-A55 cores clocked at 1.8GHz. It comes in 6GB or 8GB of RAM options. As mentioned, the Honor Magic 2 bears a triple rear camera setup. It bears a 16-megapixel primary sensor with an f/1.8 aperture, a 24-megapixel monochrome sensor with an f/1.8 aperture, and a 16-megapixel sensor with a super wide-angle lens and an f/2.2 aperture. The company is touting the presence of its AIS tech for image stabilisation, apart from a single-LED flash. On the front, the smartphone bears a triple camera setup, if one counts the 3D Face Unlock sensors, with a 16-megapixel primary sensor featuring an f/2.0 aperture, and a 2-megapixel + 2-megapixel combo with an f/2.4 aperture for 3D Face Unlock features. The Honor Magic 2 offers 128GB or 256GB of inbuilt storage, depending on the option selected, neither of which are expandable via microSD card. Connectivity options on board the smartphone include 4G VoLTE, Wi-Fi 802.11ac (dual-band, 2.4GHz and 5GHz), Bluetooth v5.0, GPS/ A-GPS, NFC, and a USB Type-C port. There is not 3.5mm headphone jack on board, but the company is bundling a USB Type-C to 3.5mm headphone jack adapter. There is a 3,500mAh battery on board the Honor Magic 2, and the 40W Magic Charge fast charging tech is said to deliver a full charge in 55 minutes. The smartphone measures 157.32×75.13×8.3mm, and weighs about 206 grams. The company is also touting an IPX2 rating that makes it dustproof and splash-proof.